Wore this to a dinner in HEAT a few days ago. I believe this would be a better interpretation of Katherine Hepburn's style. 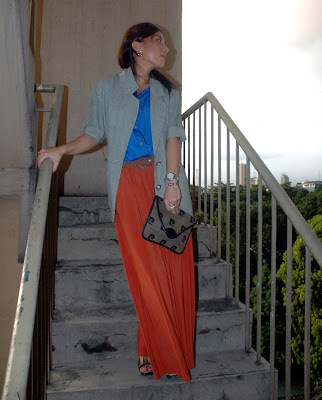 I am wearing all my favorites in this post, my favorite orange maxi skirt which you can now order from me :), my julia louie aldos, mum's vintage clutch, and the blazer I bought from Rosanna ( thank you so much dear, it's getting a lot of mileage from me)! I have been busy these past few days working on maxi skirt orders and some for myself. Really excited about a Missoni inspired skirt that I just finished last night and a convertible leopard print maxi skirt I'm planning to work on after I'm done with this post. hope to meet you the next time im in manila! Oooh!! Loving that cobalt & burnt orange together! 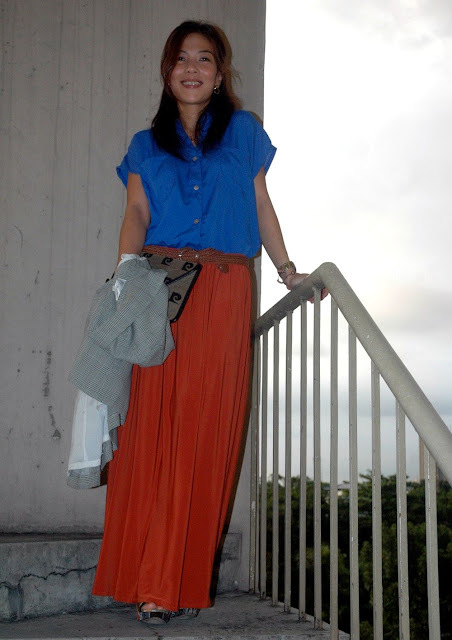 great skirt...love orange and blues together. the last picture is a good one...def good for the profile! amazing outfit! that blazer is so fab! and love the combination of the orange and the blue! I like your tribute to Katherine Hepburn! Lovely outfit! 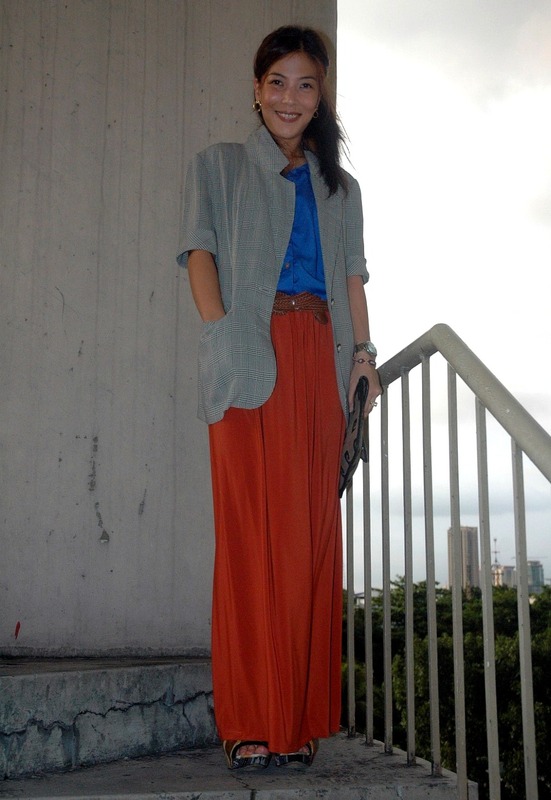 Love that maxi on u!! Love the color combination! you look so chic! Gorgeous skirt! I love the colors here! i love the color of that skirt! it's just toooo cute!! 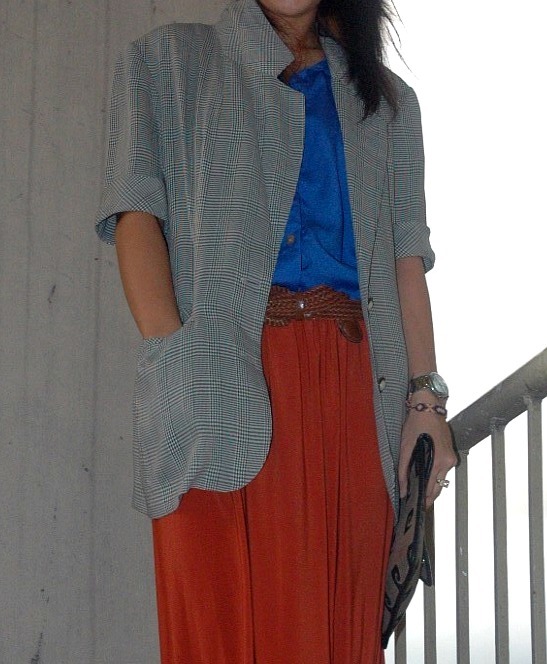 lovely outfit, are you really from manila, i've been in your country in february and it's so wonderful. That outfit is gorgeous. 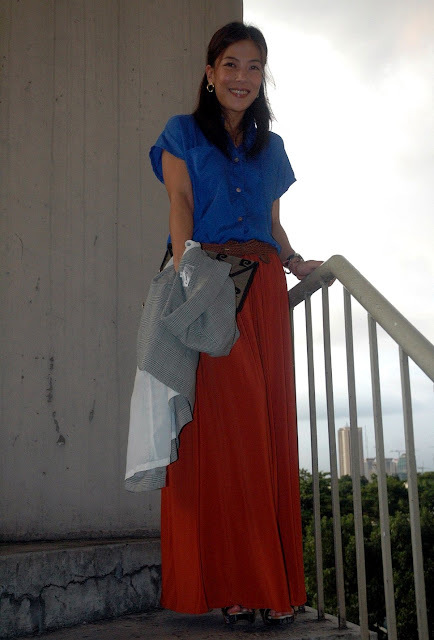 Nothing like a maxi skirt, to dress up or down. Seriously.